Have you ever wondered if you can improve the value of your home? Why does one person get more money for their home when they sell it while another gets little or can't sell theirs at all? In order to increase your chances of selling your home, a few upgrades and home improvements may be in order. For your home to be the one to be picked out of tens or hundreds of homes on the market, sweetening the pot may be the answer to selling your home. Of course you can do major remodels to increase the value, but this list gives you tips of simple home improvements that are relatively easy to complete. Here are some of the ways that people use to improve their luck at selling their home quickly and effectively. Ceiling fans make a great addition to any home. Adding a ceiling fan to a room can add both beauty and comfort to a room. They give a room character and its own source of air movement. Ceiling fans come in a wide range of prices depending on the size, style, and ​quality of ceiling fan. 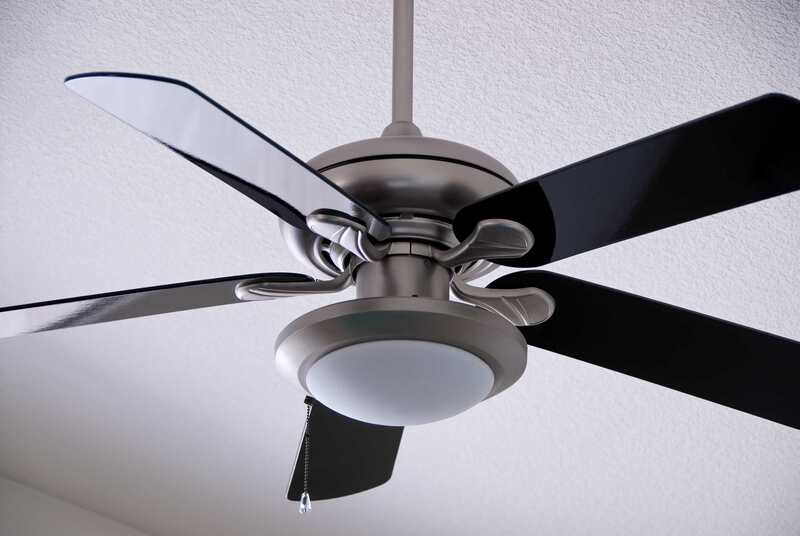 Adding ceiling fans to rooms like bedrooms, the living room, or family room will add value to your home immediately. With the high cost of electricity and the ever increasing cost of consumer products, finding new ways to leave a little change in your pocket is becoming a new fad. Going green by purchasing Energy Star rated appliances is one way. These appliances are specifically designed to save energy and resources. The average home in America today uses $1,300 to $1,900 in energy costs a year. By simply switching to Energy Star rated appliances, you’ll save on average 30 percent and put $400 to $600 back into your wallet. Energy Star appliances use 10 percent to 50 percent less water and energy than standard models. In fact, for every federal dollar spent on the Energy Star program, a $60 savings in energy goes to the homeowner. Although the Energy Star models are a little more expensive initially, the savings of water, sewer and utility bills will more than make up the difference over a period of time. Everyone loves their garbage disposal. It certainly lessens the garbage and is a great addition. It's a cheap addition that adds to the kitchen. Ground fault circuit interrupters or GFCI's for short, are used around water in homes in places like kitchens, baths, basements, and outside the home as well. If your home is lacking these, it's not up to code. Adding these is an inexpensive addition and makes your home look up to date. Here's a great idea if you want to add a couple of bedrooms and a bathroom without adding on to your home. Cost wise, this is the cheapest addition for adding space without building on. If your home is small, say a two bedroom home, it will be more attractive with four bedrooms with the addition. When you need to add a second switch on a lighting run in your house, wireless switches may be the way to go. Wireless switches are a great way to control the lighting in hallways, staircases or rooms with two or more doors, that have only one switch now to control the lighting. Instead of having to cut into the walls and run wiring between the two switches, this type of switch uses a built-in radio frequency receiver that is built in to talk to the remote switch to be mounted wherever you need access to the light. The combination of these two switches forms a three-way switch combination without the wiring.